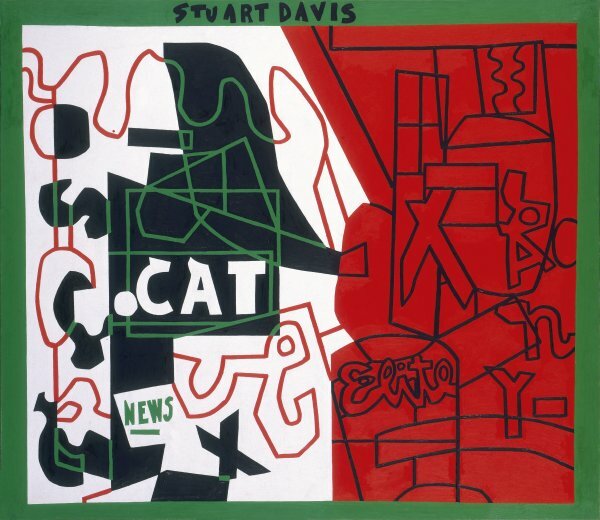 Pochade, painted from 1956 to 1958, belongs to a group of large paintings on canvas from Stuart Davis’s final period in which he reworked the vocabulary of Cubist fragmentation. 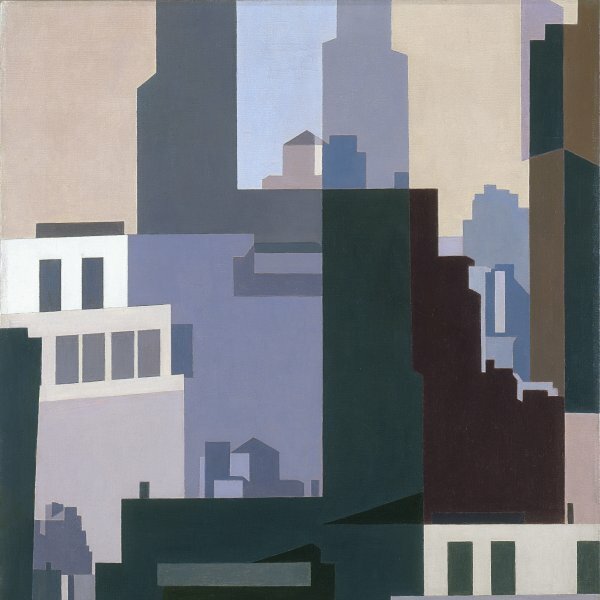 The painter likewise replaced his earlier stress on colour with a very clear emphasis on the use of drawing. The French word used as a title refers to an outline or quick sketch, although the work is clearly not a sketch in either format or execution. The stress on lettering is heightened by the incorporation of various words into the composition (“ANY, ” “CAT, ” “NEWS” and “Elite”) and the limiting of the colours to black, white, red and green. Davis discussed the nature of line and drawing at length in his theoretic writings, and, as Gail Levin points out, he made various annotations about its execution in the three preliminary studies on paper for Pochade. To make his obsession with drawing even clearer, he produced two large paintings on canvas with the same image as Pochade but without using colour, thereby demonstrating that it was possible to cause a powerful impact with the most sparing of means.